Regular readers of Bombay Brides must remember the last bride we featured on this space and her glamorous orthodox Syrian christian+ wedding. 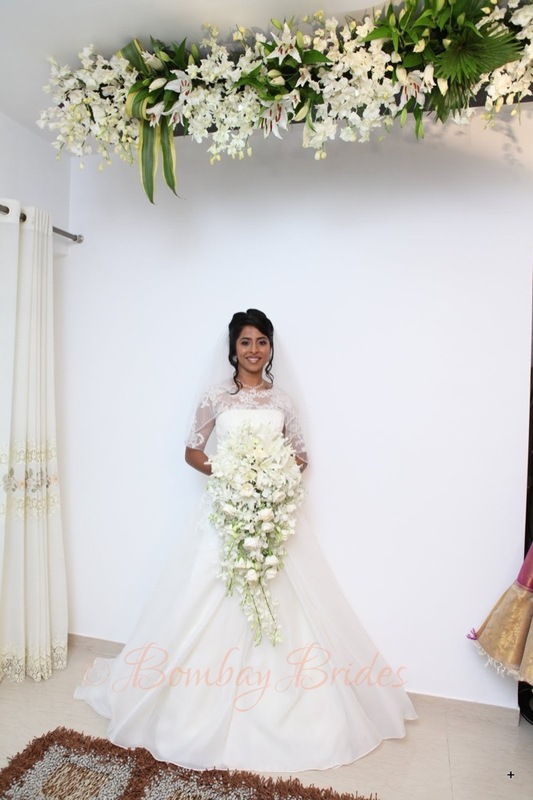 Within a few days of publishing that wonderful post, Dr. Saumya Mathews, a childhood friend and schoolmate of Sonam got in touch with us requesting us to write about her wedding and offered to help other brides out there by talking about the wedding vendors who worked so hard with her to make her special day extra special. What were we to do but shout out a hearty yes! 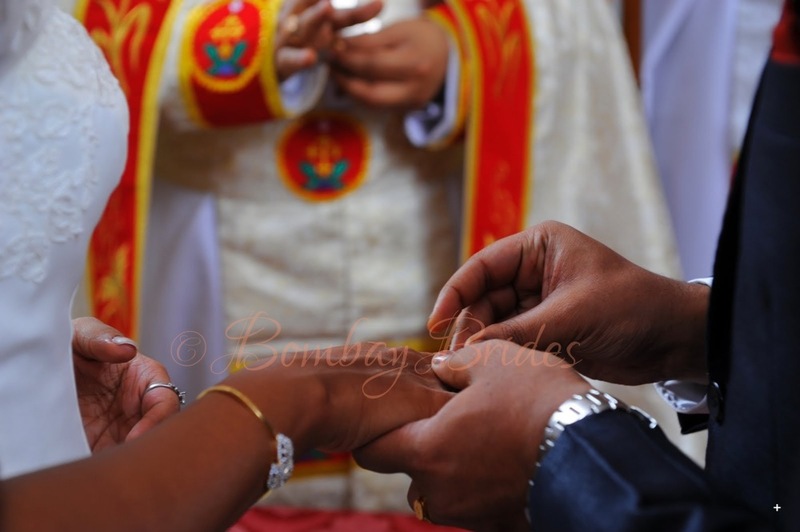 So here we are, with our first bridal feature for 2013, where we talk about the very elegant Dr. Saumya Mathews and her Syro-Malabar catholic marriage to Dr. Donald John – both residents of Mumbai. Saumya and Donald were introduced to each other by their families in mid-2011, at a time when the former was pursuing her M.S. in general surgery and the latter was completing his training in Oncosurgery. Amidst surgical residencies and full-time work in a government hospital, these two lovely people found time for each other and for planning their marriage, which was barely three months away! Our initial reaction to photographs of the Mathews-John wedding went along the lines of ‘everything looks so pure!‘ and ‘so many hues of white!‘ We have to admit here, while it is impossible for an Indian wedding to be anything but colourful, Saumya and Donald’s wedding theme of primarily ivories and creams brings out a certain elegance and balance in the other outfits and overall decor. Everything looks so flawless in the photos Saumya shared with us that we’re sure y’all share our incredulity at the way this Bombay Bride managed to pull off such a well-organised wedding celebration within such a short period. 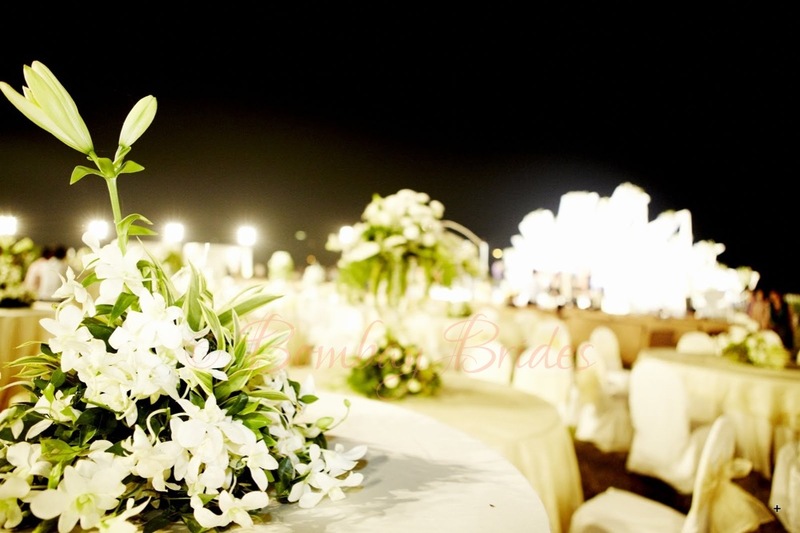 Read on to see how our Bombay Bride went about it all. 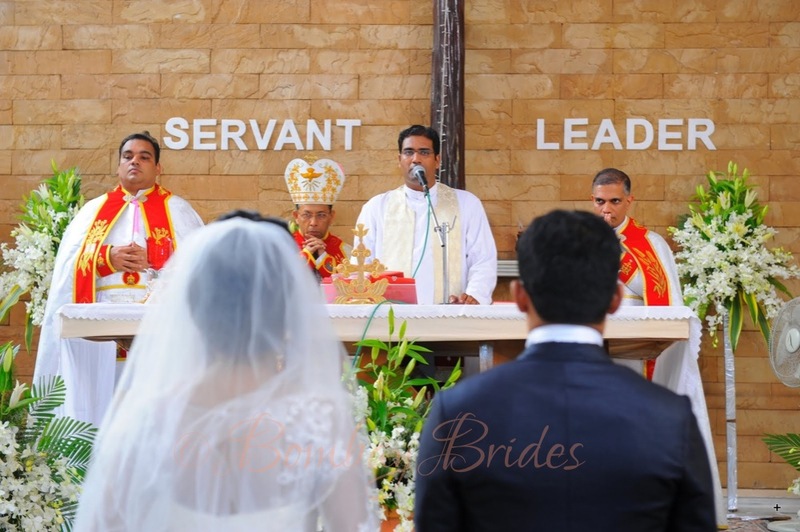 Saumya’s family are members of the Malankara Syrian Orthodox christian community and Saumya and Donald’s marriage was solemnised according to the rites and rituals followed by the Syro-Malabar catholic community – the community to which Donald’s family belong. 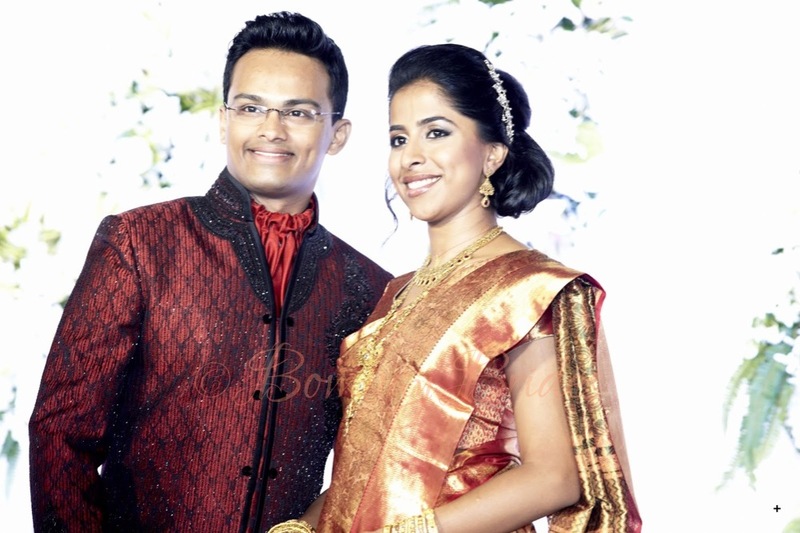 Their nuptials were performed at St. Thomas Syro-Malabar Church at Vashi, Navi Mumbai in October 2011. 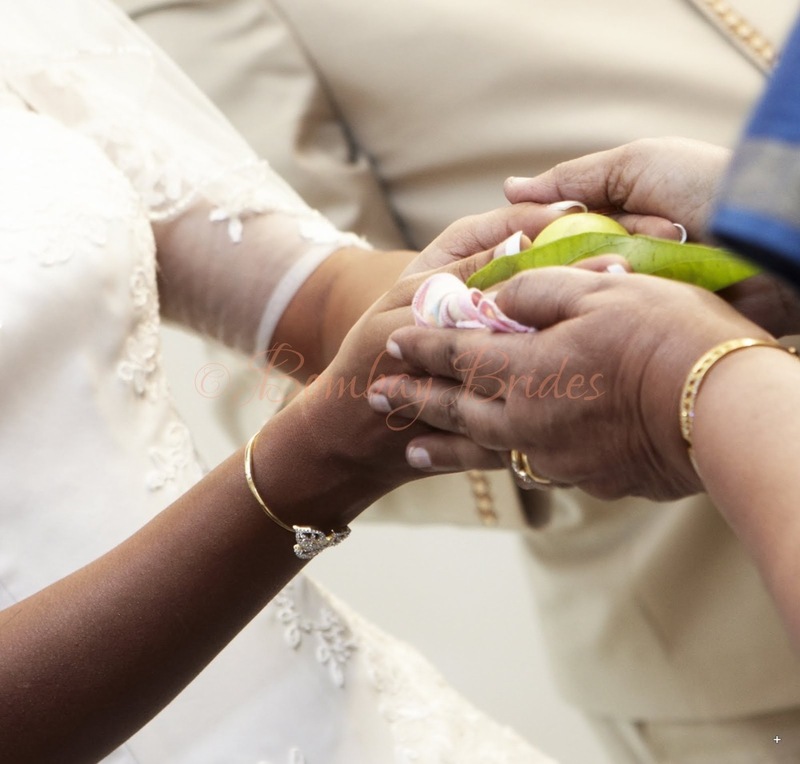 Saumya and Donald’s wedding was a careful and tasteful blending of traditional and modern; and as you can see from the photographs, Saumya managed it all admirably – from her choice of wedding attire to the traditions included at the church ceremony and even later, at the reception. Traditionally, Malayalee brides wear a saree for the church ceremony, but Saumya was given consent to wear a Western wedding gown. And what a gown it was too – a dreamy Vera Wang flown in from the US. While she did go through a multitude of websites in search of THE GOWN, a chance browse through the Vera Wang online store had her hooked on to the one that would eventually be her bridal gown. Initially daunted by the potential issues involved in having the gown shipped to India, Saumya’s best friend who lives in the US, Bhairvi came to her rescue. Bhairvi booked an appointment at the bridal boutique, persuaded them to get a gown in her size (they did not have one in stock), purchased the veil and some other outfits for the big day and got them all shipped to Saumya in India – the two women working out measurements for such an important purchase between time zones and busy schedules. The gown, when it arrived, was a perfect fit. Incredible! A classic A-line construct, Saumya’s gown had a bodice designed like a corset, which flared out into a skirt with a semi-cathedral length train. Organza and floral lace appliqué cling to the length of the gown and a detachable illusion piece crafted from tulle and lace appliqué completes the majestic look of the piece. Saumya did have to wear a saree at a certain point in her wedding day though, and as she was essentially a South Indian bride, she wore a manthrakodi+ of Kanchipuram silk. Purchased from Jaylakshmi Saree Store on M.G. Road in Cochin, Saumya swears by the choice and range available at the saree shops in South India. After doing the rounds of umpteen stores in Linking Road, Bandra, with a dear and very obliging friend, Saumya found the right pair of shoes waiting for her at Nine West – a pair of ivory-white stilettos – in every size but hers. Luckily, her size was available at Nine West, Chandigarh and they were able to mail it to her in two days. Saumya’s jewellery fell in place after her gown arrived – a diamond necklace set she had chanced upon during her three-day trousseau shopping spree in Cochin. As her shopping was wrapped up in August and her gown only arrived in September, a very kind uncle made a quick trip to Malabar Jewellery and picked up the set that was on Saumya’s mind a day before the wedding. Her bracelets were a gift from her mother and grandmother. 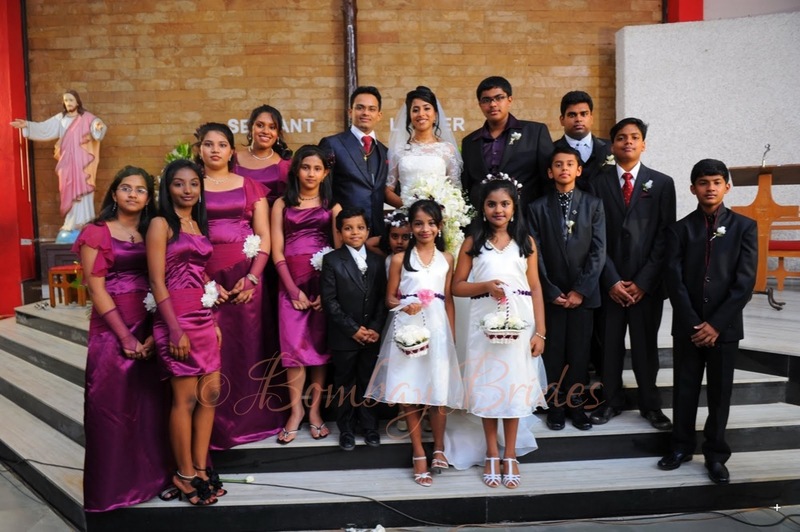 The five bridesmaids wore dresses made of plum satin with Georgette sleeves and the four flower girls wore frocks made of ivory satin with purple details for the waist and halter necks. 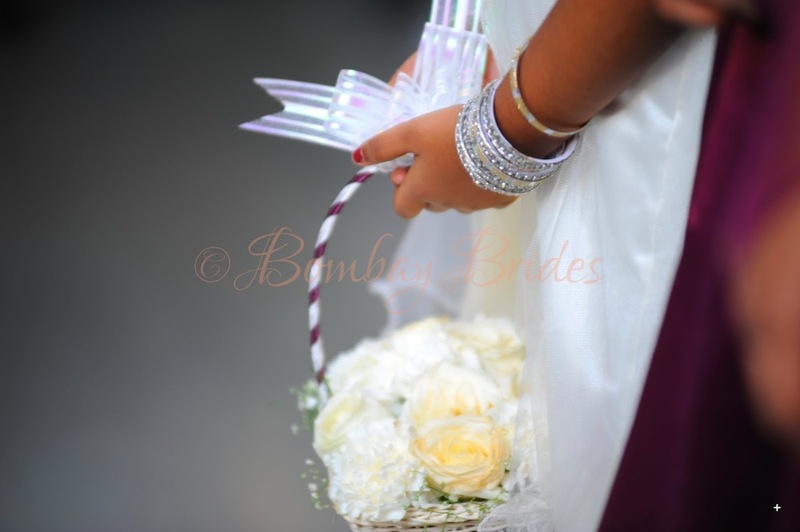 Delicate, fingerless net gloves in the same colour as their dresses completed the bridesmaids’ outfits. Saumya gave free rein to the girls to choose their own dress designs with the condition that they stick to the colour scheme. As two of the bridesmaids and a flower girl lived abroad, they had to mail in their measurements. Their tailor, Mr. Emerson and his team fitting the dresses in just a day before the wedding. 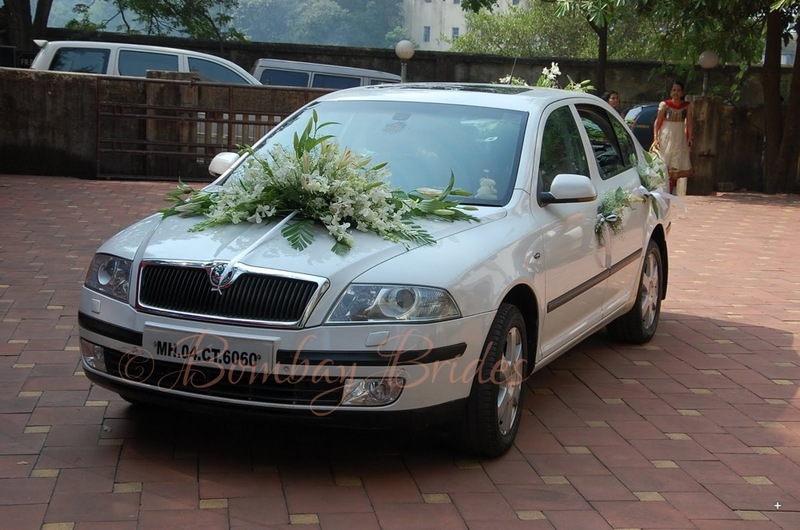 Mrs. Shaila Saldanha, a close friend of the family and owner of an event management company, personally crafted Saumya’s bridal bouquet, baskets for the flower girls, hair sprays for the bridesmaids, the boutonnière for the groomsmen, the floral arrangements and decor for the church, the bride’s residence and the bridal car. The efficient Mr. Emerson also stitched Donald’s suit and sherwani and arranged for the mojaris+ to be worn with the latter outfit. The five groomsmen and the page-boy took care of procuring their own suits. 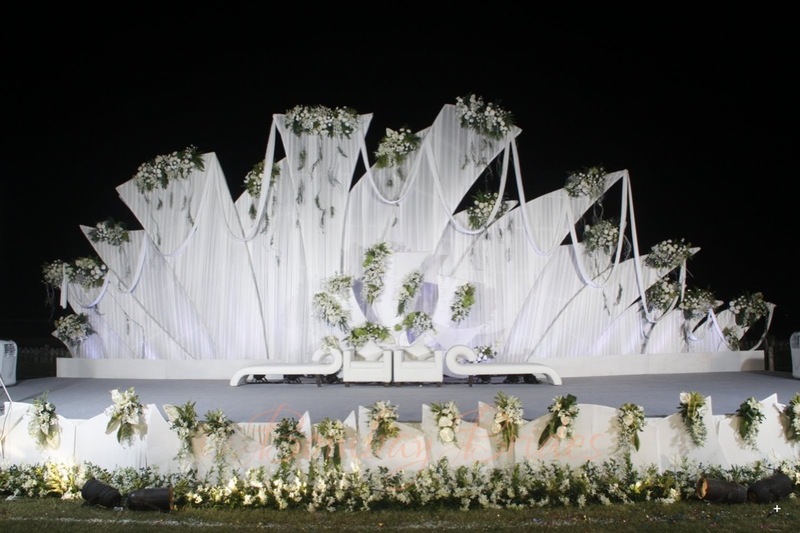 Saumya and Donald’s choice of venue for the reception was the Royal Western Turf Club at Mahalaxmi racecourse, which is perfect for a guest list numbering close to 1200 people. 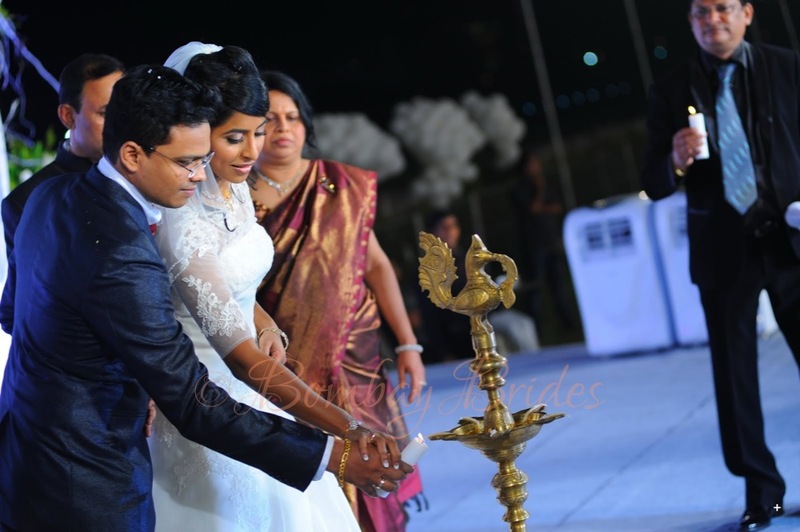 A heartwarming blend of their native Keralite traditions and catholic customs, the reception program began with a prayer and the customary lighting of the lamp. Saumya and Donald then exchanged warm milk with their mother-in-laws. The cutting of the wedding cake followed soon after, with the toast, the bridal march and Saumya and Donald’s first dance as bride and groom paving the way for the rest of the celebrations. 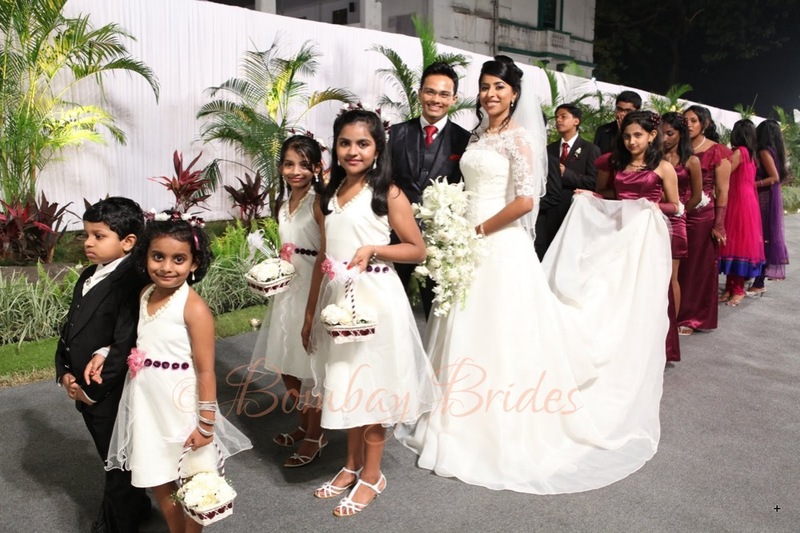 Indeed, a well-planned wedding is the best way to ensure that your guests have a gala time and given the short time available to Saumya and Donald, we at Bombay Brides think they did a marvellous job. 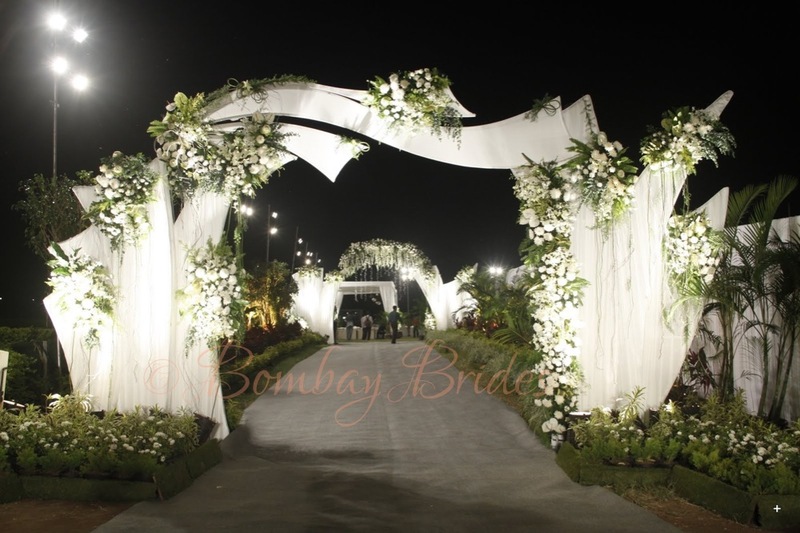 As mentioned earlier, one of the main reasons Dr. Saumya got in touch with Bombay Brides was to offer us her highly recommended list of bridal vendors. 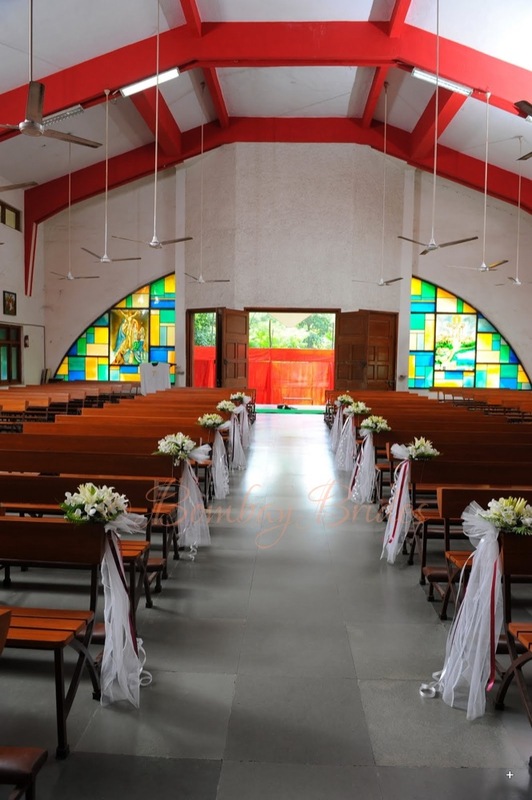 We pass this list on to you, dear readers, in the hope that it shall be of much use to some bride and groom out there planning their Christian wedding in Mumbai. 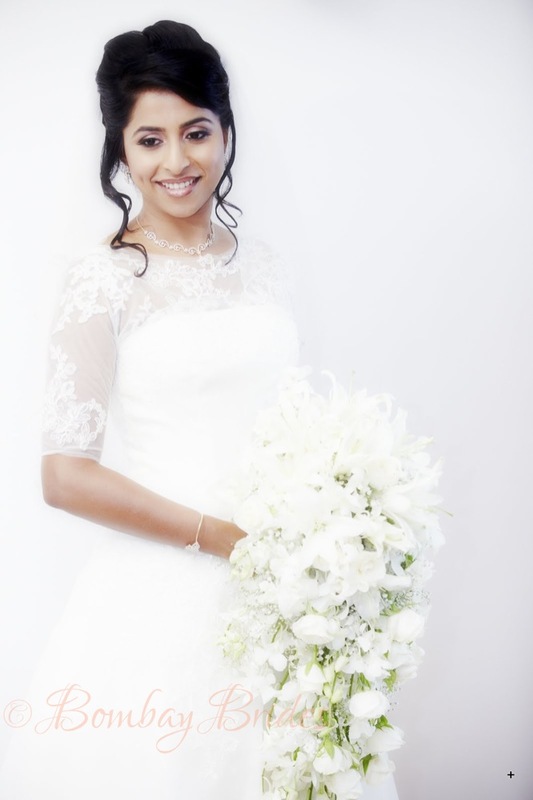 Shaila Saldanha – Professional wedding planner and owner of Mystical Rose event management. Shaila, as mentioned earlier, took care of nearly the entire floral arrangements and decor for the day, not to mention, coordinated the reception program. 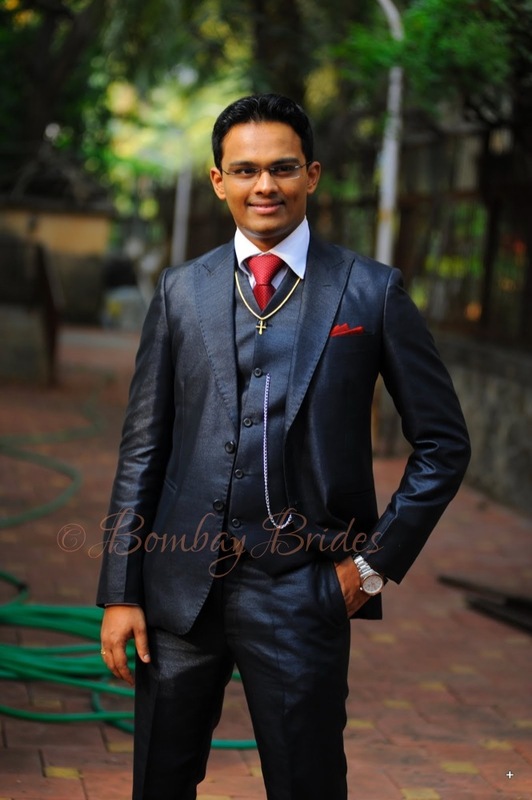 Mr. Emerson (Walk the Talk tailoring services, Santa Cruz, Mumbai) – Tailored the dresses for the bridesmaids, flower girls, Donald’s outfits and blouses for Saumya’s sarees. His contact number is 9829721147. Anurag Katriar – Proprietor of Neel (previously Tote on the Turf), Mahalaxmi Racecourse. His contact number is 8976050601. DJ Eddy – Music and sound. 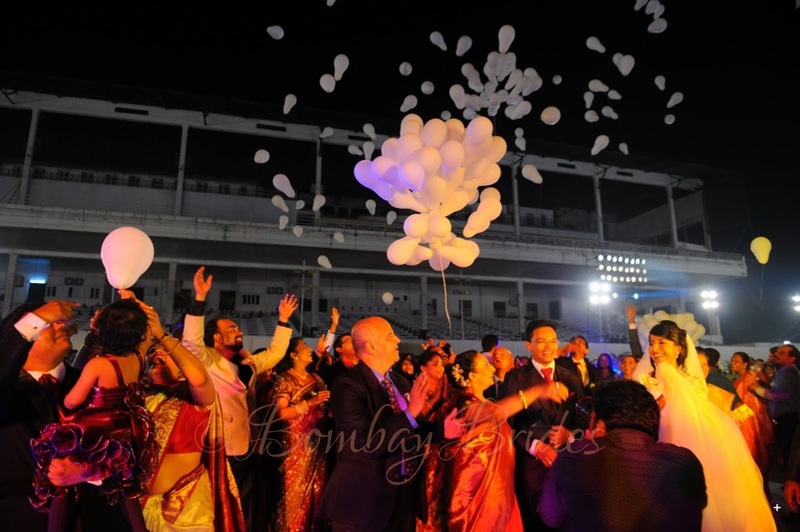 “He kept all the guests entertained and on their feet throughout the reception.” His contact number is 9820656460. Marc Boss – Makeup artist for Saumya. “Marc is a MAC trained South African who has now made India his home.” He can be reached at 9820083802. Click this to view his portfolio. 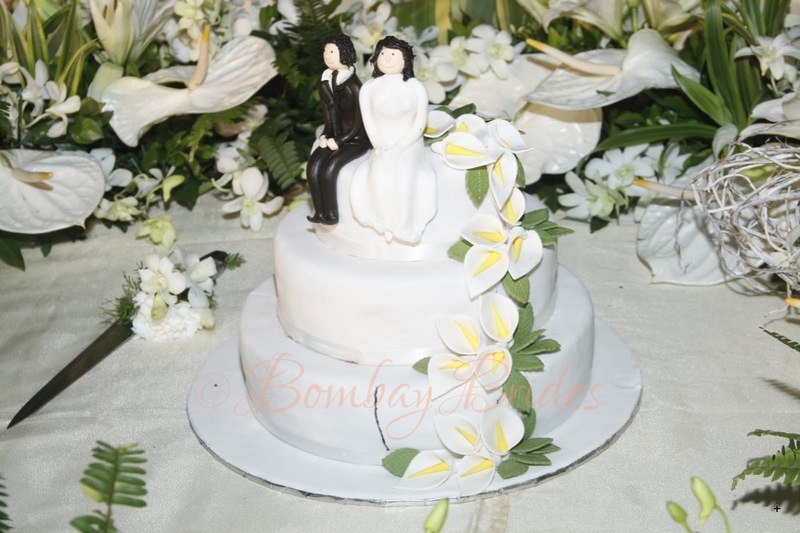 A big thank you Saumya and Donald, for sharing one of the most beautiful wedding celebrations we have seen and for providing us at Bombay Brides with such an invaluable list of bridal vendors in Mumbai. 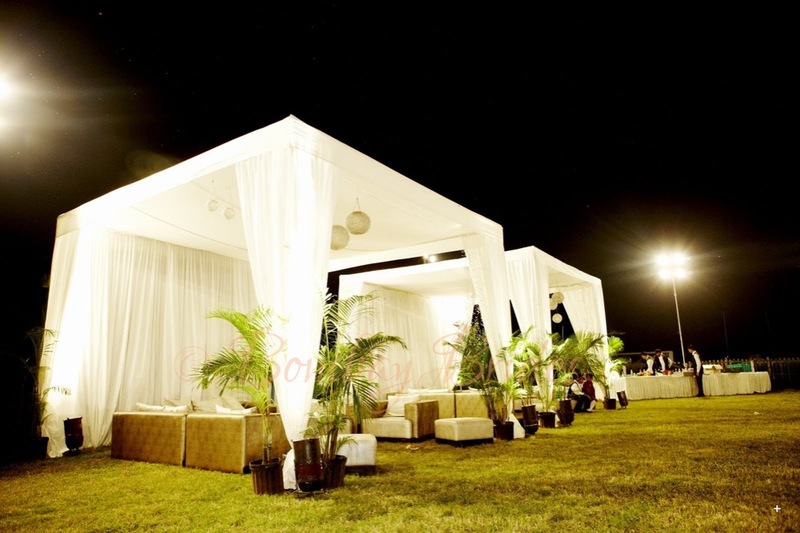 It is certain to be of good use to those of us always on the lookout for quality vendors during wedding season. Don’t forget to congratulate our Bombay Bride Saumya in the comments section below on her marvellous wedding! Please read the Need Help Browsing page for responsible use of the photographs in this post. If like Saumya, you wish to see your wedding planning days be of help to other brides and grooms in Mumbai, visit the Wish to Feature Here page for more information. Look up words marked with a + in the Glossary. Reena, I abosolutely love your blog and have no idea how I missed this post! Loved every bit of information in here and of course the photos! I am trying the contact number of Photographer Rohan Pingle but ain’t getting through. Hi Ileena, I’m unable to find an alternate number for Rohan Pingle. Shall keep you posted if I manage to get hold of a number. Hi, Rohan’s alternate number is 9819195959. Kindly give Saima/Sana reference. This entry was posted on February 18, 2013 by Haellii in Brides and tagged 2011s, Bandra, bridal accessories, brides, cake artists, Christian, Cochin, Indian Christian wedding, ivory, Kanchipuram silk, Malankara Syrian Orthodox Christians, manthrakodi, Mumbai, Nine West, nuptial customs, Orthodox Christians, plum, Syro-Malabar Catholics, Vera Wang, wedding gowns, weddings.